When I tell people that making the decision to file for divorce was both the most depressing and one of the happiest times of my life, they’re often confused. Like many women, I had a multitude of reasons for divorce. Some of these reasons seem small on their own. But my reasons for divorce were valid all the same, and they had nothing to do with giving up. Until I’d put my foot down like that, none of my attempts to fix the relationship with my husband had worked. Despite the ups and downs, my husband was just consumed by his own issues, my voice was simply never quite loud enough. He’s not a bad person or evil by any means, and I don’t hate him. For me, though, filing for divorce was the right choice, and it might be right for you, too. No one goes into a divorce lightly. There is always property, children, and financial assets caught in the middle, and it can be overwhelming to think of how to divide it all up. Sitting down with a lawyer for the first time was so overwhelming, and there were so many questions I simply didn’t have answers to. What did I want to do with the house we owned? Should we divide my 401k? What do we do about taxes? Then the most complicated issues of all: our children. They are not assets to be divided. They are tiny little humans with tender little hearts. So, no. No one goes skipping into a divorce as if they’re out to buy donuts and coffee. No matter your circumstances or your reasons for divorce, it’s a big deal. 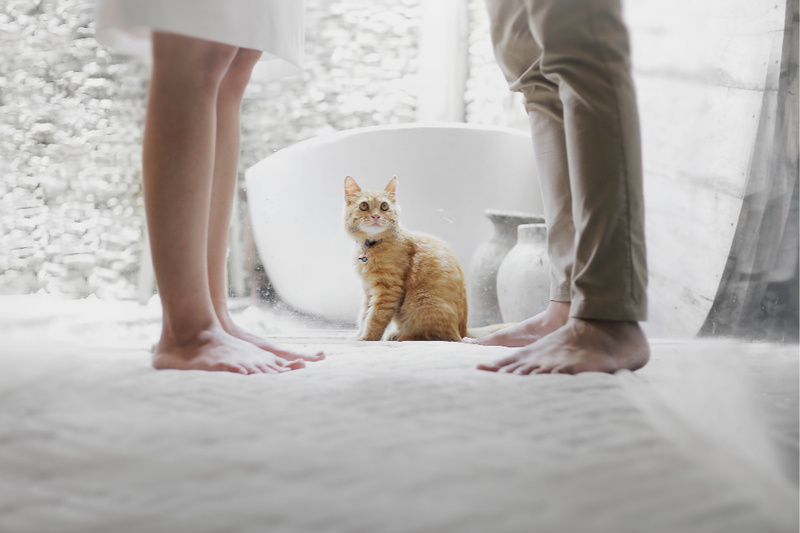 General incompatibility was cited as the most common of all the reasons for divorce with 43.1% of Certified Divorce Financial Analyst® (CDFA®) professionals surveyed reporting this as main cause for the marital splits they oversaw. My non-expert interpretation of this reasoning is that it most likely includes things like communication issues, growing apart, or losing the connection with someone, as well as just not being a good fit from the start. Anecdotes can be found all over the internet about the effects of infidelity on a marriage. Some say a spouse’s affair revealed deeper issues that they were later able to resolve, issues that may not have been resolved if the affair hadn’t happened. Others disagree and could not or would not move past the damage their spouse’s affair had done. Trustify surveyed both men and women, asking if their marriages had continued after infidelity. 40% of men said their marriages had ended, and 19% of women said their marriage had ended—regardless of which spouse had the affair. Whether a married couple’s financial issues are with how the other spends or saves or the negative effects of mutually accumulated marital debt, money problems are a big motivator for filing for divorce. 22% of professionals reported it being one of the main reasons for divorce for their clients. Having grown up in a household where financial issues contributed to my own parents’ divorce, I know firsthand how much stress comes along with it. Even though I was young, I still have a complex about running out of food, especially milk. In our household of largely non-milk drinkers, I simply can’t run out. And I don’t even drink milk myself. By far the reason for divorce that I have the most experience with, addiction is a driving force behind many divorces. In my experience, I was often the only spouse at support meetings and typically the only still-married spouse in attendance. While I’m thankful my experience never veered from addiction to abuse, abuse and addiction do often go hand in hand. Someone under the influence of drugs or alcohol is often unpredictable, violent, and even delusional. As a general rule, though, addiction only makes up 0.5% of the 6.3% percent total with most of those divorces citing abuse as the main reason for divorce. Coming in at only 0.5%, parenting issues were the least likely reason to be reported as the driving force behind a couple’s divorce. This could mean that couples are more adept at navigating their parenting styles and philosophies (or maybe even preparing for children before marriage) than they are their own future difficulties. What do modern women want in a marriage? However, this was only in a marriage. In a committed, non-marital relationship, men and women reported the same level of satisfaction. So, what changes after marriage? What do modern women want in a marriage that, when not provided, can ultimately lead to filing for divorce? Rosenfeld believes that women enter marriage with the same expectations as they had during their relationship, but the institution of marriage still brings with it pre-feminist era baggage. Contrary to popular myth, 50% of all marriages do NOT end in divorce. Despite a peak in divorce rates prior to the 90’s (mostly due to an increased availability of divorce as a viable option for those couples who needed to end a bad or abusive marriage), divorce rates are actually quite low. The current divorce rate in the US is less than it has been since World War II ended. While many modern couples hear how doomed their marriages are from the start, there is actually a lot of evidence to support having confidence that your marriage will last. When it doesn’t, there are often many factors at play. This study provides a lot of insight into why couples even consider filing for divorce. Most telling for me is the fact that when we look at why people get divorced, we’re often looking for a single reason. Going through the process myself, I know that there are often many reasons why filing for divorce becomes the best option. In my case, my spouse’s substance abuse directly contributed to communication issues, conflict, and other issues that seem small on their own. In the bigger context, though, it all adds up. I’ve often said that you can’t make your house look nicer by painting it if someone is taking a sledgehammer to the foundation. While there are a handful of top reasons for divorce, they are simply the main reasons for divorce. As I mentioned, there are most often other smaller issues that have helped eat away at the foundation of a marriage. 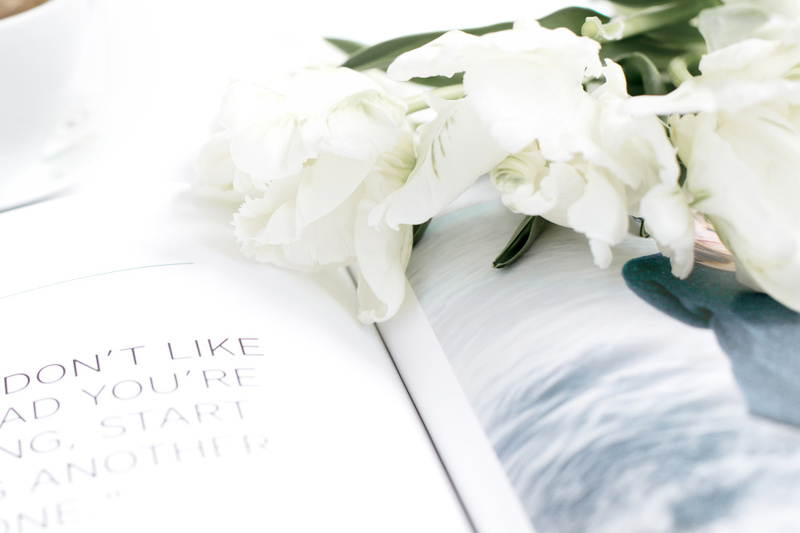 As our emotions calmed and we began focusing on what our lives would look like as a divorced couple, my husband and I could see the toxicity that had built up around us. There was certainly a main reason, but there were definitely some smaller issues that didn’t exactly contribute to a healthy marriage—even if they didn’t directly tear it apart. In some situations, divorce might be the right decision for you. Am I serious about my decision to end my marriage or am I using divorce as a threat? Am I ready to take the next step? If not, what is holding me back? Can I forgive my spouse’s behaviors towards me? Is my spouse willing to make changes to improve our marriage? Does my spouse take responsibility for his part in the state of our marriage? Does my spouse back up his words with actions that move us to a better place? Can I move on from this dark period of our marriage without worry or suspicion or trust issues? Am I willing to make any changes to my own behaviors or reactions? Do I think I should have to? The questions you ask yourself are possibly going to be as different from mine as your reasons for divorce will be. Going through a divorce is an intensely personal thing, and preparing yourself for the possibility is just as personal. You may also see that when I was considering whether divorce would be right for me I didn’t think about love, and there is a reason for that. Divorcing a spouse with a mental illness or addiction brings with it a unique set of things to consider. Oftentimes, you and your spouse still deeply care for one another. You’re probably still in love with them. My husband is and always will be my person. It isn’t always a case of falling out of love with someone or even incompatibility. But love isn’t enough to keep a failing marriage afloat, and love doesn’t protect you when someone’s demons are making you physically or mentally unhappy—or even unsafe. Just as deciding whether filing for divorce the best decision for you, knowing when to divorce your spouse is completely dependent on you. Looking back, I know I started seriously thinking about divorce years ago. However, it took me that long to reach my limit. I needed to explore every avenue and try every possible solution. I knew I wasn’t perfect, so I focused on improving myself and being a better support for my husband. When that didn’t work (because you can’t fix someone else) and my marriage continued to degenerate, I knew it was time. It wasn’t the kind of knowing like a lightning bolt or being hit by the epiphany train. Rather, it was a slow realization that this wasn’t what I wanted to continue doing. For me, it came down to a list. Knowing when to divorce my husband came down to making a list. I didn’t make a list of Pros and Cons. I knew I’d always find more reasons to stay married. Instead, I made a list of all the reasons for divorce. My list covered all the reasons why divorce would be a positive in my life. Then, I compared that to a list of the negative things I was currently dealing with by staying married. I also asked for space and time. Separating from my husband (again) gave me time away from my tumultuous emotions to feel what it would be like as a single, divorced mom. I realized that in some ways it was much harder. In other ways, though, I found more peace and happiness. I found myself a calmer woman, and with less energy spent managing someone else’s emotions, I was a better mother. My laugh came easier, and my smile was brighter. In just a few short weeks, I felt myself shedding the weight of a failing marriage. Having that weight gone doesn’t make going through a divorce any easier, but I know it was the right decision. That eases the pain a little and helps me keep moving forward. 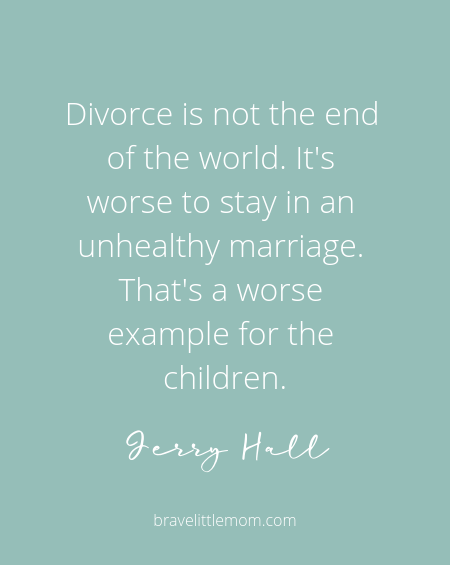 If you are considering a divorce, my deepest wish for you is to find that kind of peace. This shed so much light from a different perspective. It’s hard to think of it as an option when you are in it. But looking at all of the small things in a big picture from both sides can make it an easier decision. No matter the reason it’s important for others to be supportive and understanding about a couples divorce. I see so many that are judgmental and harsh to the couple that are just trying to find happiness again. Thank you so much for this. I don’t think anyone loves the idea of divorce, especially the couple involved. It’s painful and scary, and it rarely feels like you’re doing things right. Unfortunately, not every marriage can be saved. It takes more than one person to make a partnership work, and there are sometimes other factors like abuse or addiction that make a marriage toxic or even dangerous. Support and understanding from others in the community is so helpful as you walk through this process. It makes you feel so much less alone.